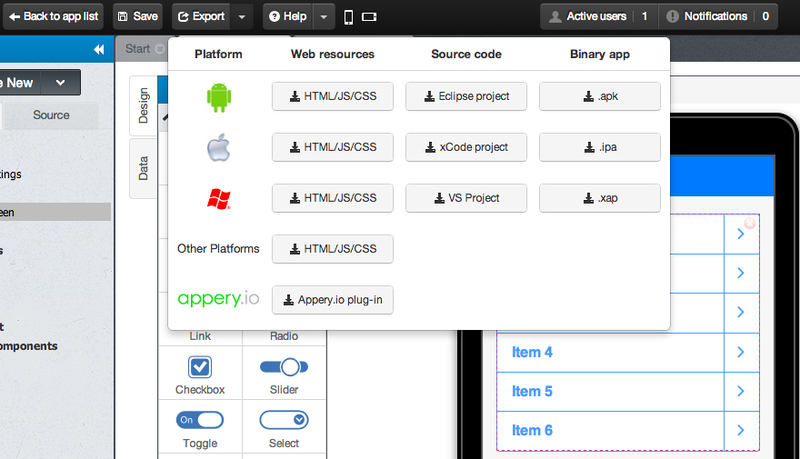 Appery.io Build allows to packaging apps for iOS, Android and now Windows Phone. Just click Export to see all the options. Previous Post What Is Appery.io App?